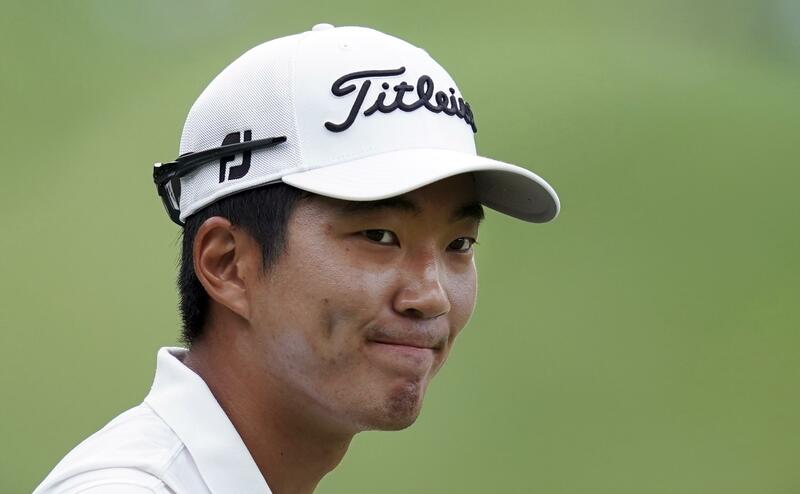 UPDATED: Sat., July 14, 2018, 7:08 p.m.
At TPC Deere Run, Silvis, Ill.
SILVIS, Ill. – Michael Kim spent his 25th birthday moving within 18 holes of his first PGA Tour victory. Kim, who has just one top-10 finish in 84 career PGA Tour starts, shot a 7-under 64 – closing with four straight birdies – for a three-day total of 22-under 191. “Coming into the day I told myself, `It’s your birthday. Try and have as stress-free a day as possible.’ I’m very satisfied with the score I shot,” Kim said. The players who weren’t able to complete Friday’s second round because of bad weather, a group that included Kim, did so earlier Saturday. The field was then subjected to two more weather delays – this time of 2 1/2 hours and then 1 1/2 hours. Published: July 14, 2018, 6:39 p.m. Updated: July 14, 2018, 7:08 p.m.